Checkout and process payments with ease. 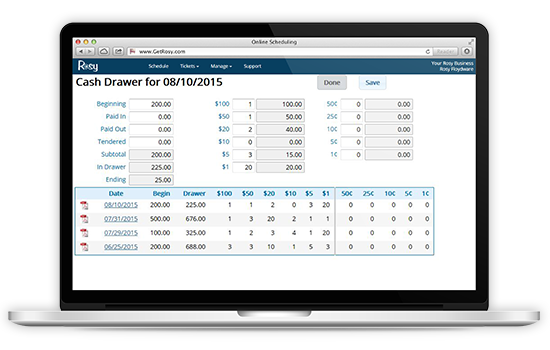 Manage your cash drawer, gift cards, and all transaction types. Rosy’s robust salon point of sale handles the process for you – so you can spend less time at checkout and more time with your clients! Rosy’s Suggestive Selling feature can improve your bottom line. At checkout, Rosy’s salon POS makes intelligent suggestions for product purchases based on the client’s personal buying history and/or services performed that day. Clients appreciate the personal attention, and you increase your high-margin revenue! Use Rosy’s Integrated Credit Card Processing to manage your payments and streamline your checkout process. With Rosy, you won’t have to worry about your fees, because low rates are guaranteed!